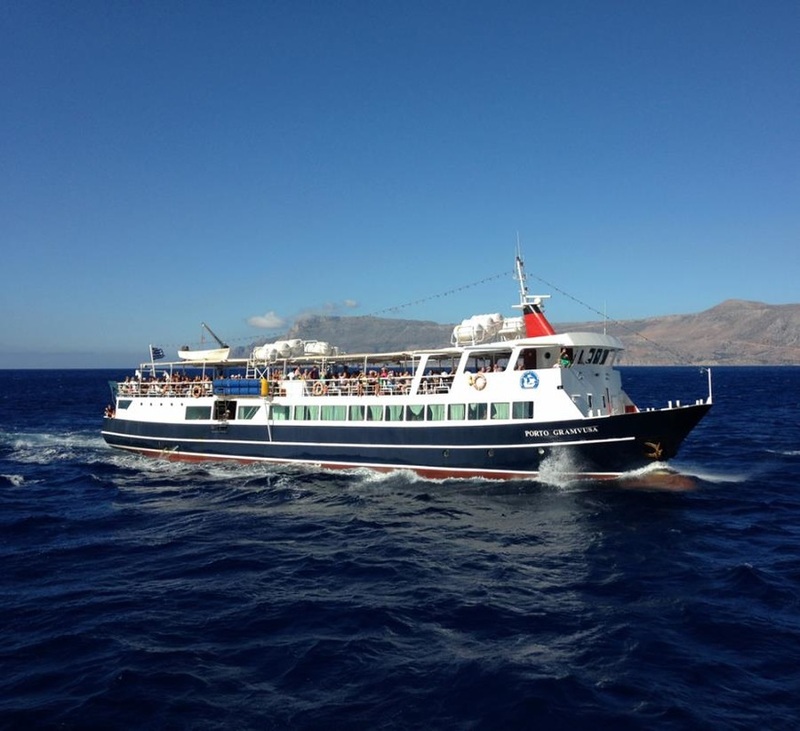 ​The voyage starts from the Port of Kissamos following the coastline on your way to Gramvousa Island. After approx. 1 hour sailing time you arrive at Gramvousa where you have time to visit the Venetian castle built between 1579 & 1584. 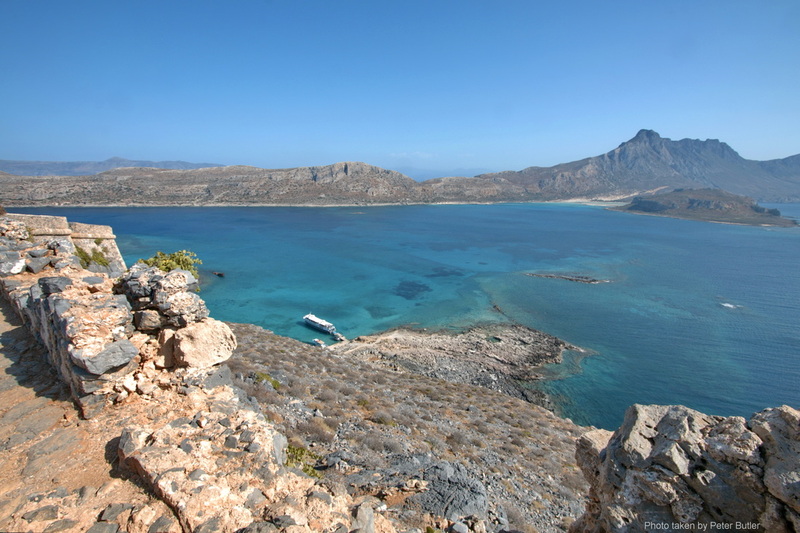 The island of Gramvousa is associated with the struggle to liberate Crete from the Ottoman occupation. Three thousand revolutionaries used the island as their shelter for 3 years; to solve the problem of food scarcity, they took to piracy. Gramvousa nowadays is an importart bird habitat in the Eastern Mediterranean region and is located along one of the bird migration ways in this part of the world. It is the habitat of over 100 bird species and 400 kinds of plants. Built 137m above sea level on this rocky island, it is one of the most impressive castles in Crete and worth the 15 minute hike up the footpath. Appropriate footwear is advisable & a hat in summer. 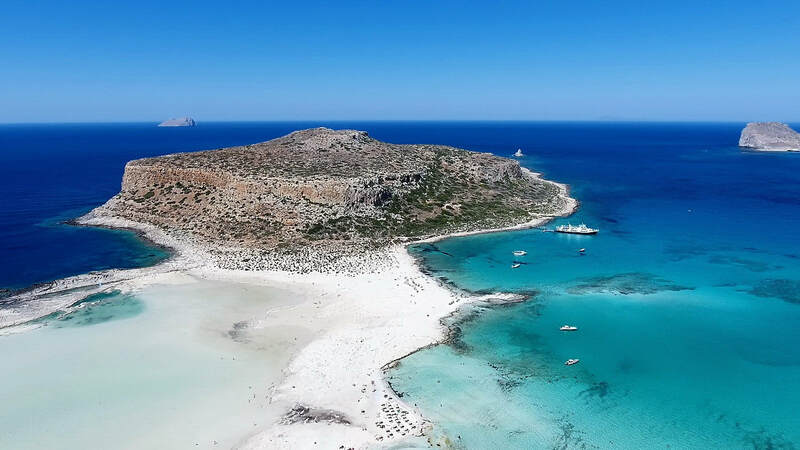 Upon your return to the beach you will have enough time to swim in the crystal clear waters, while freshly grilled souvlaki is being prepared on board as well as sandwiches & salads available at anytime to purchase. The boat then departs for the lagoon of Balos, the journey is approx 20 mins. The water is warm and the sand has pink coral in parts. The seabed has white sand and makes the water have a shiny jade-like colour. During your stay at Balos the boat’s halls and bar will be at your disposal. Umbrellas are available to rent on the boat and it's a good idea if you don’t bring your own. 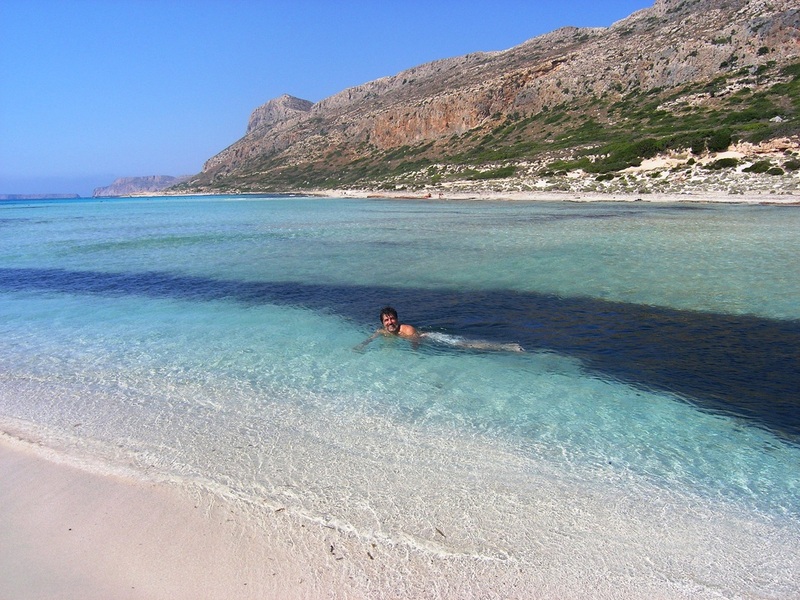 Plus there are sunbeds & unbrellas for hire on the beach of Balos. You will have ample time on the beach to explore, relax and swim. On the beach of Balos, there is a small canteen selling sandwiches, ice creams, drinks etc. This is a protected natural area so please do not leave litter, camping is not allowed and collection of shells or rocks is prohibited. This trip is a long day in the sun & we do not recommend it for very young children. €19 for the boat fare (per person) for adults & €9 for children (4 - 12 years old) which includes the €1 for the town council, which is collected on the bus. Food & drink not included. Food & drinks are available at the self-service bar which is open throughout the cruise, offering Cretan traditional delicacies and other dishes (souvlaki, chicken with potatoes, steak with potatoes in the oven, stuffed peppers and tomatoes, Greek salad, pizza, toast, sandwiches, soft drinks, pastries, wine, beer, ice cream, coffee, etc.). You may also rent umbrellas from the boat which are €4 for the day. 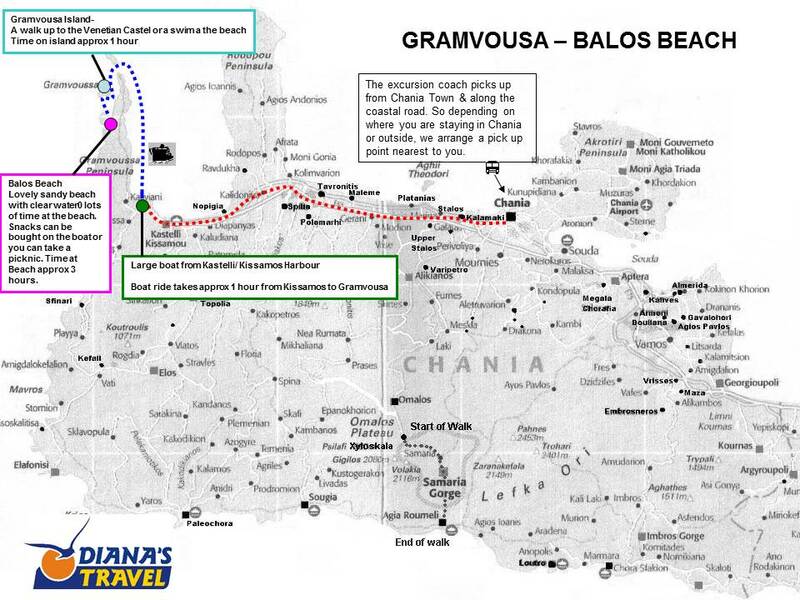 To book the Gramvousa/ Balos Trip, you will need to book at least 1 day in advance to reserve your seat & make payment.